Whatever your requirements are for both Residential and Commercial property surveys Property Link can help. Property Link is an established and reputable firm of property surveyors and engineers, based in Birmingham, in the heart of the West Midlands and centrally located to serve the UK nationwide. Our widely experienced and highly knowledgeable team of specialists provide an abundance of services designed to make your property sale or acquisition process much simpler, quicker and far less stressful. 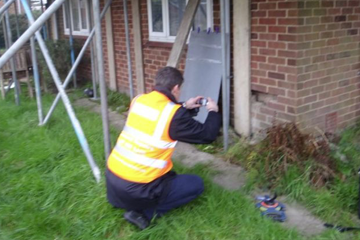 Experts in providing surveys and reports, our primary expertise is in this area, therefore our staff ensure they remain up-to-date with industry knowledge. Our reports and surveys include the important homebuyer survey and valuations to provide our customers with assistance in many aspects involved in the home buying/selling process. In addition to property surveys and reports, we also now provide property purchasing services for those looking to sell property for cash. Are you buying or selling a Residential property and need a Homebuyers, Building or Party Wall Surveys? Are you buying or selling a Commercial property and need a Building Survey? Do you need a Freehold or Rental Value? Do you have structural defects, cracks or movement to your property and need an Engineer’s Report? Are you taking a lease and need a Schedule of Condition? Are you building or located adjacent to a building site and need a Party Wall Agreement? Do you have a dispute with building works or constructional issues and need an expert report? Do you have a boundary dispute or other neighbour dispute and need an expert report? As a well-established firm of property surveyors and valuers, the team at Property Link have the expertise and ability to help you to speed up the home sale/purchase process. As fully qualified and independent chartered surveyors, chartered building engineers and structural engineers, our expert team provide a wide range of services for both residential and commercial properties. ‘Sell House Fast’ Property Link will now buy your property for cash, helping you to sell your house fast, in as little as a week in fact. Our professionals are fully qualified surveyors and engineers who have been trained and are qualified to the highest standard. Their understanding is well-maintained through regularly updating it, to ensure we provide the best level of service possible. Whenever I feel a panic attack is about to happen I take 0.5mg Lorazepam, that is a small dose. It fights panic attack within 15-20 minutes and in the next hours I feel absolutely relaxed. The only side effect I had was drowsiness but it didn’t bother me at all. at Property Link we provide fast and reliable services that help to speed up your property sale/acquisition, competing reports and surveys in a timely manner to remove all barriers preventing you from closing the deal. If you are looking to sell your home quickly, we can offer you a cash sum, helping you to sell your property in as little as a week. Ideal for anyone who needs more than one report/survey/valuation/dispute help. This means that you can get pretty much everything you need, in one place and under one roof, again speeding up the process of buying or selling a house, while also taking out the stress of having to find different people to help you in these various aspects. At Property Link we are forward thinkers who try to think of new ways we can help our customers. We listen to the problems our customers have and we try to think of new, better solutions. 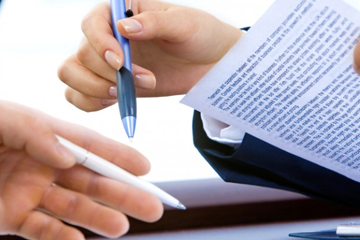 Though we are primarily specialists in surveys, reports and valuations, we also provide assistance with disputes and now even have the ability to buy properties for cash, helping those who need to sell their home quickly for personal reasons. We invite you to work your way through our website to understand in more detail about the services we provide, we welcome you to ask any questions you might have. If you are looking for a residential or commercial survey or report, or require help with a dispute or you need to sell your home quickly, why not contact one of our specialist team members now. We can answer all your queries and provide you with impartial advice and a free, no obligation quote.